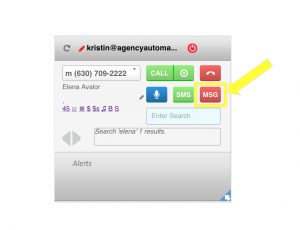 turboDial can trigger an API Goal in an Infusionsoft Campaign when a recorded message is automatically played as a voicemail message to your contact. There are two cases. Case 2: Dynamic Dial is used with “Answer Detect” enabled, and a voicemail machine is detected when a call is answered. In this case Dynamic Dial will automatically play your “Missed Connection” message onto the voicemail machine of the contact who was called. Learn more about how to leave a pre-recorded voicemail here.